You have come to expect the ultimate service from La Brea Cleaners. We give you professional spot removal, environmentally safe wet cleaning and dry cleaning service products. Your garments are hand finished to keep them looking like new. Our laundry service keeps your shirts clean, crisp and bright. We hand finish all collars, cuffs and plackets. We replace broken or missing buttons at no extra charge. We also offer a custom hand finished shirt pressed to your exact specifications. 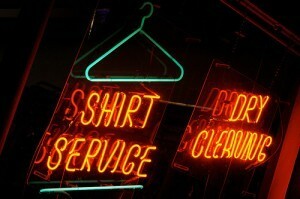 La Brea Cleaners cares for your dry cleaning needs by utilizing the most modern technologies.